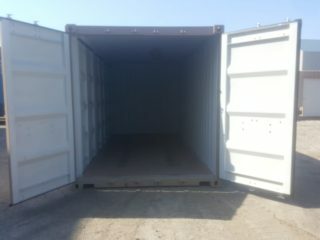 Container with Three Side Doors | ContainerWest Manufacturing Ltd. These 20’ High Cube and Standard units are perfect for storing items you need regular access to. Three container doors along the left side provide convenient access to almost the full length of the storage area, without compromising the security, durability or weather resistance of the container. 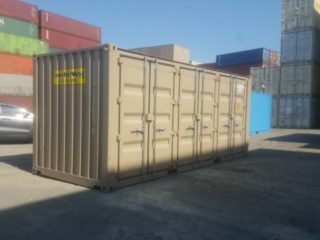 As with all our containers, these units are durable, secure, wind and water tight, and fire resistant.